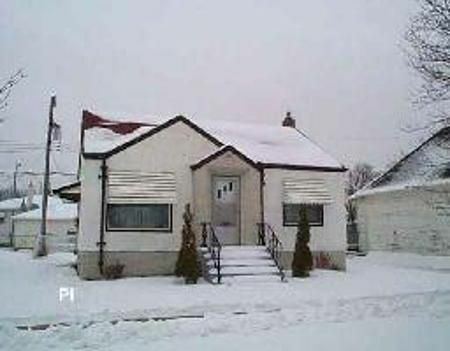 4C/WINNIPEG/REMODELLED BUNGALOW IN A NICE LOCATION WITH DT1 GARAGE CLOSE TO MCPHILLIPS! UPGRADES INCLUDE ELECTRICAL, BATHROOM & KITCHEN WITH NEW CERAMIC FLOORS, REFINISHED ORIGINAL HARDWOODS, NEW INTERIOR PAINT, NEWER FURNACE, CENTRAL AIR & HOT WATER TANK. FINISHED FULL BASEMENT WITH HUGE BEDROOM AND REC. ROOM AND SEPERATE LAUNDRY AREA AND STORAGE/COLD ROOM. VERY GOOD STARTER HOME FOR FIRST TIME HOME BUYERS, CLOSE TO BUS, SCHOOLS, GROCERY STORES AND SHOPPING MALLS!